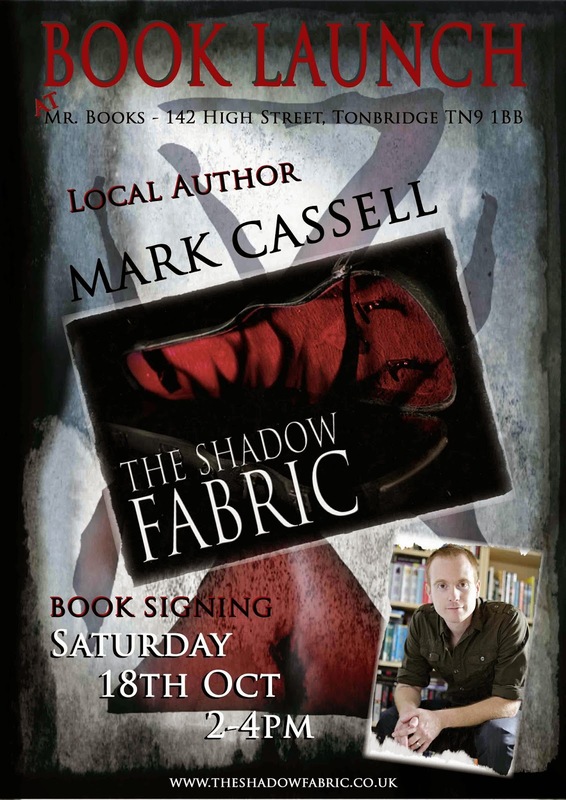 For the release of The Shadow Fabric this month, Mr. Books in Tonbridge is hosting a book launch on October 18th 2014. I'll be signing copies between 2 and 4 in the afternoon. I am not used to being the centre of attention; it'll be like a birthday party, but worse. It's going to be weird, to say the least. This writing thing is of course a very solitary game, and finally I'm stepping away from my desk. And not just that, I'm finally letting the world see what's been boiling over the last three years.